The mysterious Azores are the ideal destination for an intrepid traveller and still within the outer limits of Europe. Isolated in the deep seas of the Atlantic, these steep-side, beautifully wild volcanic islands offer a complete contrast to more traditional European destinations. There are nine main islands and we will visit Sao Miguel, Faial and Pico – each with its own charm and distinctive characteristics but all reflecting their Portuguese colonial heritage. 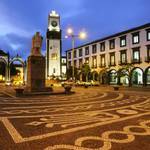 São Miguel is the largest island in the archipelago and home to its capital, Ponta Delgada. 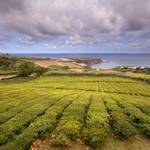 Often referred to as “the green island” it has the largest population of all the islands. Here you will see landscapes of extra-ordinary natural beauty when we explore its two volcanic ranges enclosing three stunning crater lakes. Dinner this evening will be in a local restaurant. This morning we set off on our full day guided tour of the Furnas valley. During our tour we will stop at some viewpoints to capture images of the amazing scenery around you. Next stop is Vila Franca which was the first capital of the island. We continue to the valley of Furnas where a lake of the same name is encircled by the beautiful plants of the Terra Nostra Botanical Gardens in which it is situated. The underground vapours of the Calderas (hot springs) in this area are used by the locals to cook cozido, a traditional meat and vegetable stew, which they prepare in a large pot and then place it in a hole in the ground to cook. This dish is on the menu for our lunch in a local restaurant. There will be time to swim in the warm thermal waters if you wish before leave the lake and make our way to Gorreana, the oldest and the only, tea plantation in Europe. Our full day tour today takes us to the other two lakes on São Miguel, the twin crater lakes of Sete Cidades and Lagoa do Fogo. 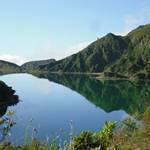 We follow a scenic mountain road until we drop down to Sete Cidades where you will have time for a lakeside stroll. We continue to Breanha for lunch at a typical restaurant. Lunch will be followed by a short stop in Ribeira Grande, a picturesque town on the volcanic plateau, before we move on to Lagoa do Fogo, another beautiful crater lake. Exotic plants grow very well in the Azores, but sometimes slowly, and at the Arruda Pineapple Plantation, our final stop on this tour, it takes two years to cultivate a pineapple. After breakfast today we fly to Faial Island. 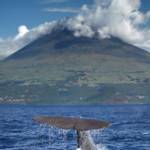 Faial is one of the best islands for a whale watching adventure. This afternoon we board a boat in the Horta marina and head out to sea in the hope of catching sight of either a migrating blue or humpback whale of a sperm whale the species most commonly seen in Azorean waters. 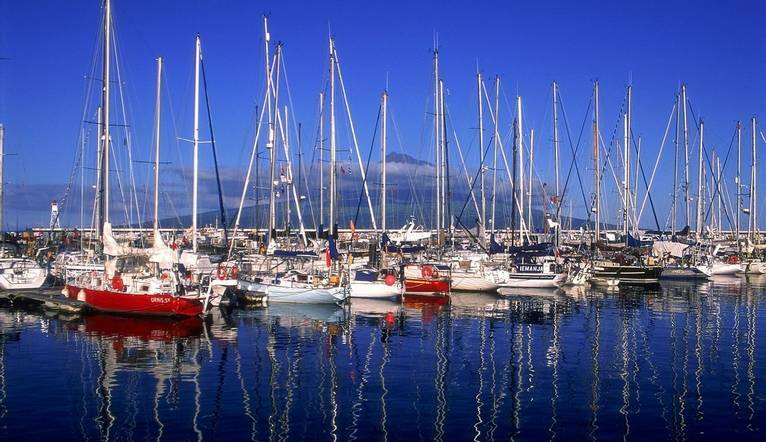 We leave early this morning to board a boat at Horta Harbour and set off for Pico Island where we will be spending the day. 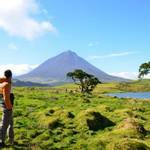 Pico island or “the mountain island”, is named after its enormous dormant volcano, the highest mountain in Portugal. This island is famous for its whale hunting and wine-making traditions. During our time here we will learn about these activities at the old Whale Factory in Sao Roque and the Pico Wine Museum which is housed in a former Carmelites’ Convent. We will have lunch at a local restaurant and explore some of its pretty villages nestling in a landscape of black lava and green forests. On Faial different shades of blue decorate the houses, divided the fields and edge the roads which has resulted it becoming known as ‘the blue island”. 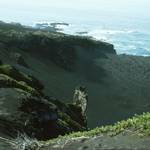 In 1957 Ilheu dos Capelinhos was the last volcano to erupt in the Azores and projected so much ash that a bridge was formed connected it to a neighbouring islet. During our tour of the island today we will visit the Interpretation Centre of Capelinhos and have an opportunity to walk in the volcano. We will stop for lunch in a local restaurant before visiting a cheese factory where a spicy cured cheese, Ilha Azul, is hand-crafted using the milk of the Azores. This evening we will be dining at a local restaurant. Day 7 - Faial - São Miguel. This morning we leave Faial and fly back to São Miguel Island. The rest of the day will be at your leisure and a chance to further explore the island and, in particular, the capital town of Ponta Delgada. Day 8 – São Miguel – UK. Early transfer to Ponta Delgada airport for your flight to UK. A reasonable level of fitness/mobility is required as we include plenty of sightseeing/travelling, sometimes with early starts. Please refer see Medical Conditions here. The transfer time from Ponta Delgada Airport to the hotel is approximately 10 minutes, depending on weather and traffic. 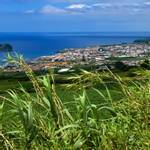 Half Day Guided Walking City Tour of Horta – this is dependant on the flight time from Horta to Ponta Delgada. The emphasis is on smart casual clothes for the evenings and comfortable cool casual clothes for daytime wear. Dressing in layers to allow for changes in temperature is recommended. Comfortable walking shoes are a “must” for sightseeing.